The Maldives is a collection of islands located over a 500-mile stretch in the Indian Ocean. Famed for its stunning white-sand beaches, crystal clear waters and abundance of tropical fish, it is the ultimate beach holiday destination. The Maldivian coral reefs are home to a multitude of marine ecosystems and natural phenomena. From lobsters and pufferfish to barracudas and whale sharks, the reefs contain over 1,100 different species of fish in total, making it a spectacular destination for snorkelling and scuba diving enthusiasts. Because of the small size of the islands themselves, land animals are less plentiful; there are a few pelagic birds such as the grey heron, and a number of sea turtles who lay their eggs on the sandy beaches. Whilst visiting Male for the day be sure to check out the Islamic Centre that opened in 1984; it is the largest mosque in the Maldives and even one of the biggest amongst those in South Asia. Fortunately you won't have to walk far to find it since it's near the main jetty of Male. The architecture of the mosque itself is stunning, boasting a huge golden dome and walls decorated with Arabic calligraphy and woodcarvings. In order to fully allow yourself to slip into the tranquility of the Maldives, a trip to Huvafen Fushi is essential. In the local language, 'Huvafen Fushi' translates as 'Dream Island' and the spa located on this island most certainly is dreamy. 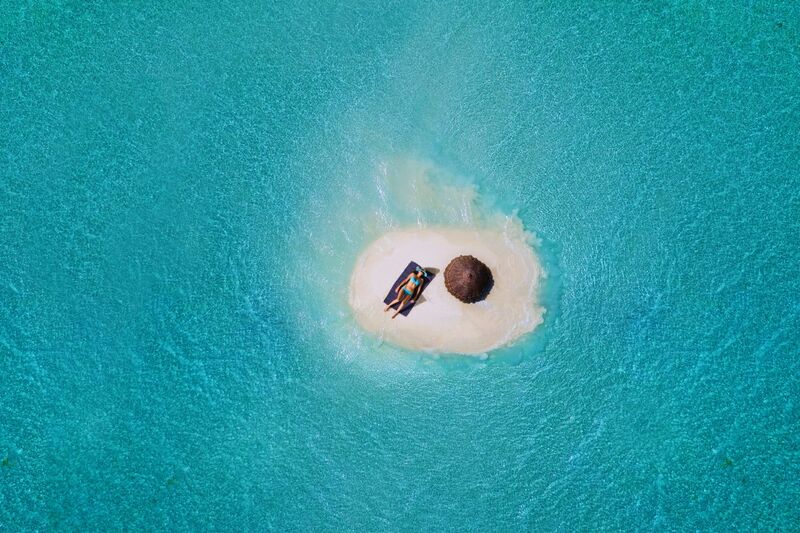 LIME spa is the only underwater spa in the world and as you lie and relax to receive your treatments you're positioned directly under the Indian Ocean. The treatment rooms are also equipped with outdoor baths, outdoor showers and the length of the treatment is at the discretion of the guests. Treatments include the use of locally sourced ingredients for example Maldivian coral sand and coconut oil. It seems strange to add cyclist trips to your to do list since most of the surface areas on the islands are very small but the Addu Atoll cycling tour is thoroughly recommended. The cycle lasts 3 hours and is designed for up to four people from Villingil. All the way you are accompanied by a guide and the total cost is 140 dollars including transport and a picnic lunch. The course is 8km long and you pass beautifully manicured gardens and and lush greenery along the way. This is where the diving magic comes to life; although there are spots all over the island that provide the perfect diving destinations here it is unlikely that youll be disappointed. Whale sharks, mantas, hammerheads and eagle rays as well as Napoleon wrasse and grey reef are just some of the marine life that can be seen here. The recommend time to come diving is from November to May but the diving holiday season runs for the whole year. Instead of taking a seaplane to the atoll of your choice, go for a Dhoni cruise. These traditional boats can take up to 8 passengers on average and offer enough comfort for the duration of the cruise (1 to 2 weeks). If you do not have too much time, go for at least a 1-day cruise by dhoni. In this case, head straight to Dunikolhu, in the atoll of South Maalosmadulu (77 miles to the north-west of Malé) and discover the lagoon by traditional boat: here you will get a close look at dolphins, turtles and see frigate birds as they gather into swarms at sunset. If you're a keen diver, the Maldives is abundant with the most incredible diving spots spread over the various islands. Avoid diving on the day that you've been flying for the sake of your eardrums! The best time to visit the Maldives is between December and April. If you choose the Maldives specifically for diving, don't forget to bring your medical certificate and diving book. Even though the medical certificate isn't required at all diving centers, it's essential to bring your diving book so that you can prove your level and avoid re introduction. Upon arrival, make sure you keep an eye on flight timetables. The majority of island transfers are not available during the evenings unless you've come from an internal flight. If your transfer to the island is by seaplane you may have to spend a night in Male. There's no longer a direct flight straight to Male, once you arrive you have to get on another flight on a seaplane to get to your hotel even though some are accessible by boat. Don't forget that alcoholic drinks aren't served in anywhere in Male, except in international hotels, due to local regulations. Definitely don't go to the Maldives to eat meat; fish, rice, tea and fruit are the way forward here! +One of the best destinations in the world for diving and snorkelling. +Has some of the world's best surf spots. +The local islands, in the Haa Alifu and Hanidoo atolls are stunning and the people are warm and friendly. -Activities are basically limited to beach tourism - unless you enjoy diving and snorkelling. -Hotel islands are not representative of Maldivian culture at all. -Disappointing food quality at most hotels (even luxury hotels). -General problem with garbage disposal. In the small souvenir shops and the markets, prices can be bargained. Bargaining is common. Start by asking the price from the seller, then make an offer between half and two-thirds of the initial price. Islam is the only religion accepted in the Maldives and drinking alcohol is seen to be very sinful. Importation and alcohol consumption are forbidden in the capital Male and in the islands that are inhabited by Maldivians. Alcoholic drinks are available only on the islands specially designed for tourists. For some time, fundamentalists groups have been trying to ban spas in hotels but, since tourism is crucial to the country's economy, haven't had any success. In Male, access to the mosques is reserved mainly for Muslims but you can ask for permission to visit outside of prayer hours. Appropriate dress is required inside the mosques and you are not allowed to film, take photos or act inappropriately. Dishes are mainly made up of rice and fish (dried or fresh), and are quite spicy. You will find a whole range of curries served with bonito, pepper, sliced onions and grated coconuts. Also try out the fried fish rolls, tuna balls with coconuts, and the hikima (dried and smoked fish served with flat bread). Tea is the most common drink. The big hotels offer imported beer and spirits. If you don't like meat you've definitely come to the right place! In the Maldives fish is by far the most popular dish. The Maldivians also go crazy for fresh fruit especially coconut, mango, papaya and pineapple. For breakfast, Maldivians usually eat 'Mas huni' which is a dish made up of flattened tuna mixed with onions and peppers and is eaten cold with 'roshi' which is very similar to an Indian chapatti. Maldivians also consume other dishes such as 'kuli boakiba' (fish pate), 'gulha' (doughnuts made up of fish and peppers), 'keeima' (fish spring rolls) and 'fihunu mas' (fish roasted in a peppery sauce). Most of the dishes are composed of soups, curries, vegetables and marinated vegetables accompanied with 'roshi'. Desserts are generally very colorful and sugary like 'zileybi' which can be compared to fried funnel cakes. Find weekly weather forecasts for The Maldives . 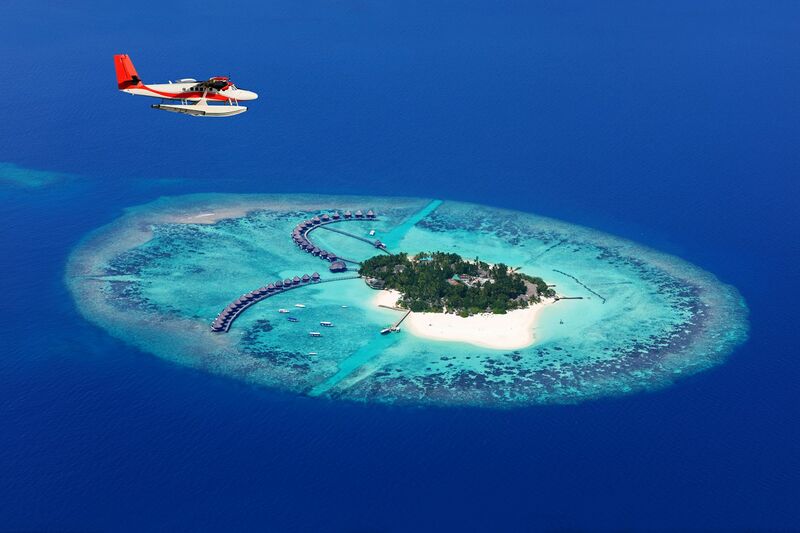 Different criteria make it possible to predict with precision the best time of year to go to The Maldives . A comprehensive weather score, made up of temperature indicators, bad weather predictions, sunshine levels and wind speeds, will allow you to choose the activities best suited to the weather conditions and therefore make the most of your holiday in The Maldives . Local handicraft is quite limited. Most of the souvenirs are imported objects: lacquerware from China, sarongs and wood sculptures from Bali and mats and silver jewellery from Indonesia. One of the rare souvenirs 'produced' locally is the stencilled T-shirt. If you love second-hand goods, go to the Singapore Bazaar at Malé; here, items are mostly imported, but this is where you will find the greatest variety. Businesses are open from 8:30 am to 11:00 pm from Saturday to Thursday and from 2:00 pm to 11:00 pm on Friday. Our journalists' reviews for you 61 hotels Maldive Islands . Take a look at our hotels, their facilities or their value-for-money score according to your departure dates so that we can find the best offer to suit you Maldive Islands . Book a hotel Maldive Islands it's never been so simple !